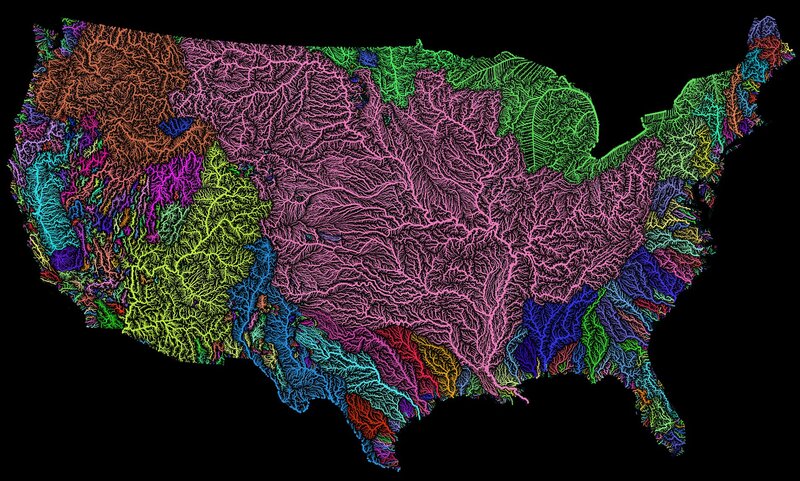 Can you name America’s river basins? Map was created using the open-source QGIS software, and the high resolution prints are available on Etsy. It visualizes Strahler Stream Order Classification, the creator explains, with higher stream orders indicated as thicker lines. Share your River stories. Support the Wild and Scenic Rivers Act!